In this episode of IPv6 Buzz the team discusses Enterprise IPv6 Adoption Challenges And Solutions. 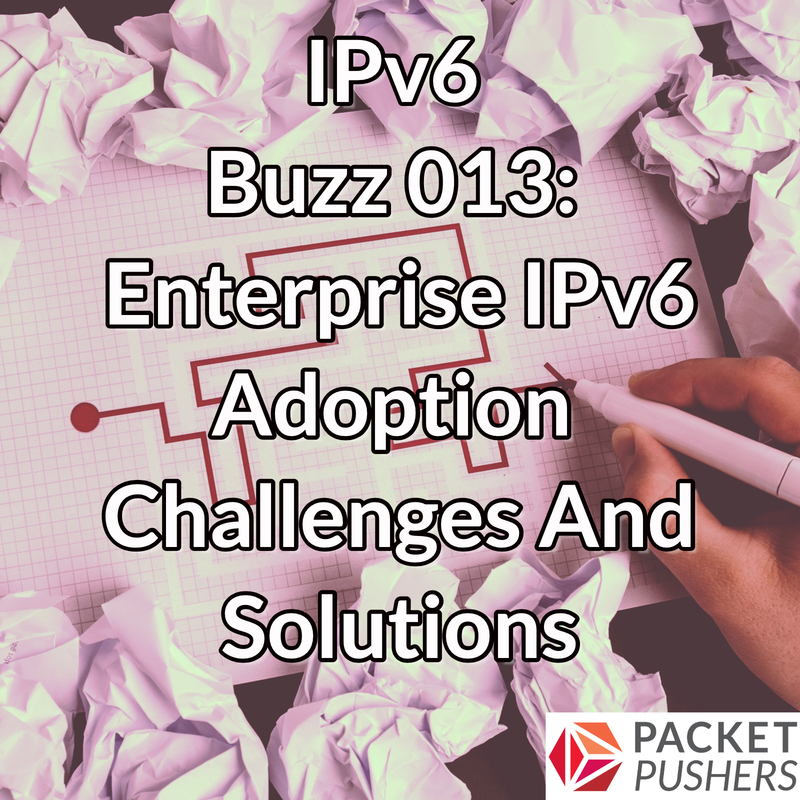 In today’s episode of IPv6 Buzz, we dive into the challenges of IPv6 adoption in the enterprise. We discuss the challenges of understanding the full scope of v6, why to set up an internal IPv6 working group, why you need more than the networking team involved, and more. This entry was posted on Thursday, November 15th, 2018 at 6:43 pm	and is filed under Podcasts. You can follow any responses to this entry through the RSS 2.0 feed. Both comments and pings are currently closed.